Curves are beautiful , but smooth curves are even better! Stop dreaming about you could look like and make it a reality with Venus Freeze™, a non-surgical treatment for body contouring, cellulite elimination, wrinkle reduction and skin tightening. This non-invasive, pain-free procedure uses a combination of Radio Frequency (RF) and Pulsed Electro Magnetic Fields treating multiple concerns simultaneously. Unlike other body contouring Austin treatments, Venus Freeze is FAST. 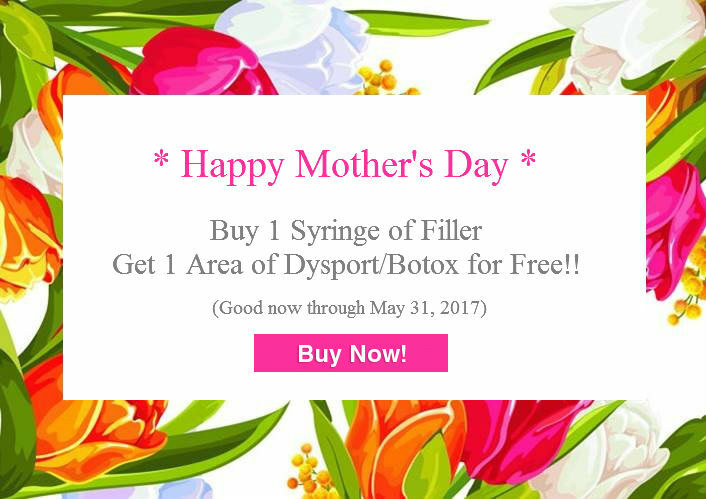 It goes way beyond traditional fat reduction procedures, it smooths dimples and bumps and firms loose skin! Venus Freeze can be used anywhere on the body, face or neck. area with each session lasting 30 minutes. Magnetic Fields are proven technologies. no downtime that produces long-term results! If you want to get rid of fat, but want to avoid a surgical procedure such as liposuction, Venus Freeze may be right for you. Venus Freeze body contouring is safe and painless with no downtime. Aesthetically, Venus Freeze is superior to liposuction as it simultaneously treats cellulite and loose skin. Who is NOT a Candidate for Venus Freeze? Venus Freeze™ is not suitable for women who are pregnant or if you have inflammation, infection or cancerous lesions in the area to be treated. 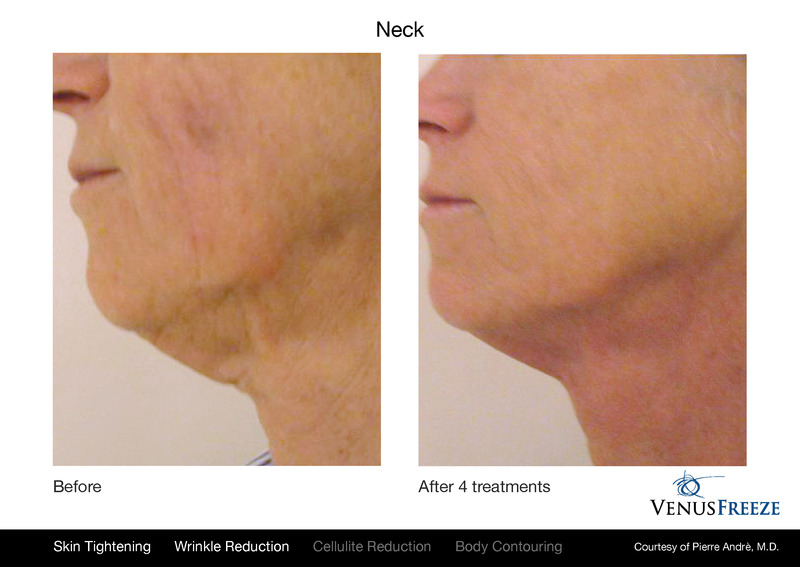 Venus Freeze™ combines multi polar radio frequency (RF) with pulsed magnetic fields to remodel the skin by promoting the synthesis of collagen and elastin while facilitating the production growth hormones. This promotes blood circulation and the creation of skin that is more supple and smooth. No, the procedure does not hurt. Most patients find it warm and soothing. The treatment is comparable to a hot stone massage. Will I Need Numbing Cream? Because there is no pain during the treatments, you won’t need any numbing cream or cooling gels! The number of sessions varies on the area being treated. When collagen fibers in the skin are exposed to heat their structure is modified and immediately contract, making the skin tighter. This effect is noticeable upon completion of the first treatment and improves with each subsequent treatment. For optimal results, we recommend 6-8 sessions for the face and 8-10 for the body. Each treatment takes 30-60 minutes. The primary reason for Venus Freeze™’s incredible success is its unique (MP)2 system. (MP)2 energy increases the temperature of skin tissue to breakdown triglycerides found in a fat cell into glycerol and free fatty acids. Free fatty acids are then released into the blood stream. The Venus Freeze™ technology drastically reduces the volume of fat cells. 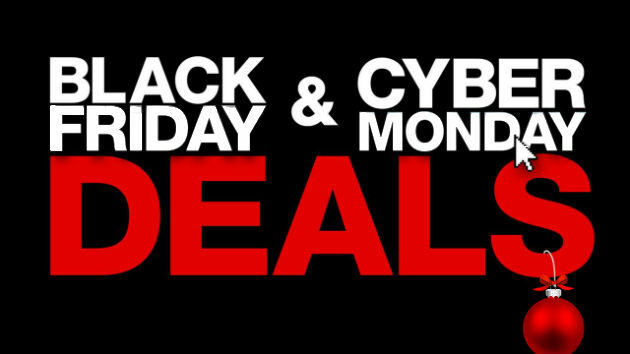 Cellulite is smoothed and body circumference is noticeably reduced. (MP)2 also stimulates non-fat cells to porduce collagen and elastin while improving blood circulation and decreasing subcutaneous fat mass. How Does Venus Freeze™ Change My Body? Once fat cells have been broken down and reduced in volume, a patient treated by Venus Freeze™ will see a measurable reduction in their body size along with a general improvement in skin tone and texture. 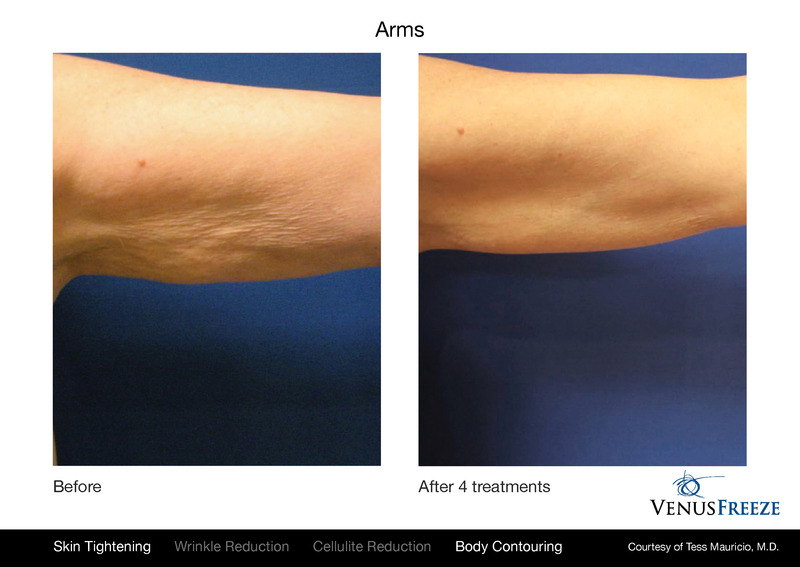 Venus Freeze™ results are comparable to surgical results. I Sensitive Skin Will My Skin Be Red? Venus Freeze™ is one of cosmetic medicine’s most effective tools for the elimination of cellulite and stubborn fat pockets. 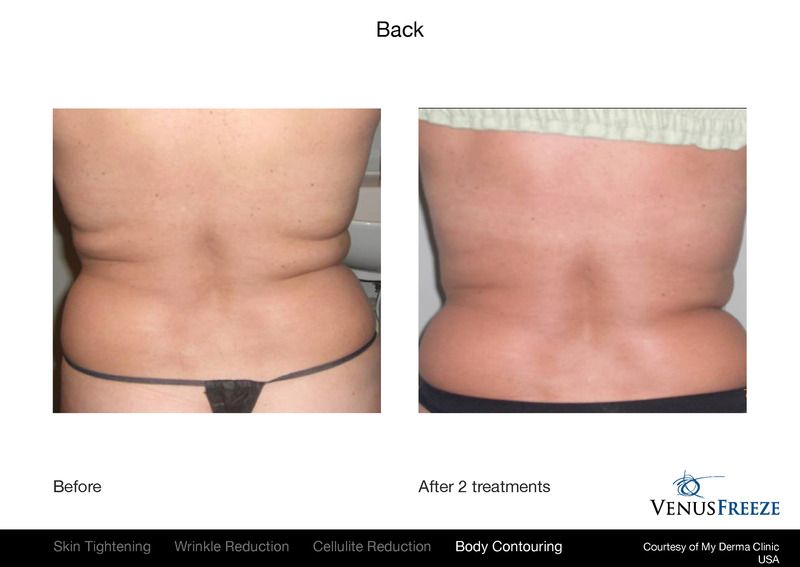 By using advanced contouring technology, Venus Freeze™ is able to destroy fat cells, smooth surface layers of fat and lead patients toward a trimmer and healthier appearance. The fat cells destroyed by the treatment permanently disappear. Follow-up treatments are necessary to maintain initial results.